Ken Hite’s Adventures into Darkness is a roleplaying supplement (just now released in PDF) based on the alternate history premise that H.P. 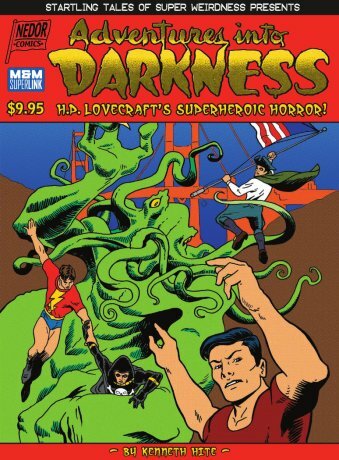 Lovecraft survived the illness that killed him, and went on to write golden age super hero comics. Take a breath and savor that idea. Specifically, Hite uses the Nedor comics characters as the subjects of the Lovecraft treatment. This is a bunch of obscure golden age characters who are now roaming in the public domain, free for anyone to pick up and use, who have in recent years popped up in work by anyone from Alan Moore to Alex Ross. Because I’m a sucker for pretty pictures that overflow my blog’s design, here’s some art from the latter project. More here. This entry was posted in Comics, Roleplaying on February 19, 2008 by Dotan Dimet. This entry was posted in Blather and tagged animation, fight, flash, food, war on February 06, 2008 by Dotan Dimet. 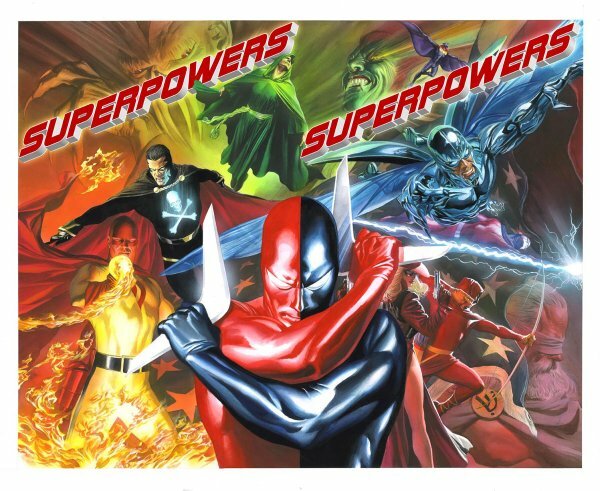 This entry was posted in Comics on February 06, 2008 by Dotan Dimet.